In a new twist of events, the driver who helped ferry the body of Mary Wambui Kamangara to Mugutha along Thika Road led police officers to a thicket where he and Judy Wangui disposed off the deceased’s body. Michael Githae Mathenge on Friday led the police to a thicket in Ruiru where he says they disposed off Wambui body on the night of January 26. It is here where officers found clothes used to wrap Wambui’s remains and a knife. What the officers could not find was a carpet which Michael said was spread in the back seat of the deceased’s Mercedes Benz. This where they laid her body. Also missing is a gas cooker which according to the officers was used to kill the mother of two. According to an autopsy report, Wambui was hit with a blunt object at least nine times before she was suffocated. Michael who runs a car hire business in Nairobi admitted to helping Wangui move the body from her kitchen to a dam where she contemplated drowning Wambui’s body while still in car. But as fate would have it, she decided to abandon the car at Kwa Maiko market in Githunguri, Kiambu County. He also told the police that Wangui confessed to killing the businesswoman whose husband Joseph Kori, she is believed to have been dating. It is not clear where Mr Kori was as his wife was being murdered. 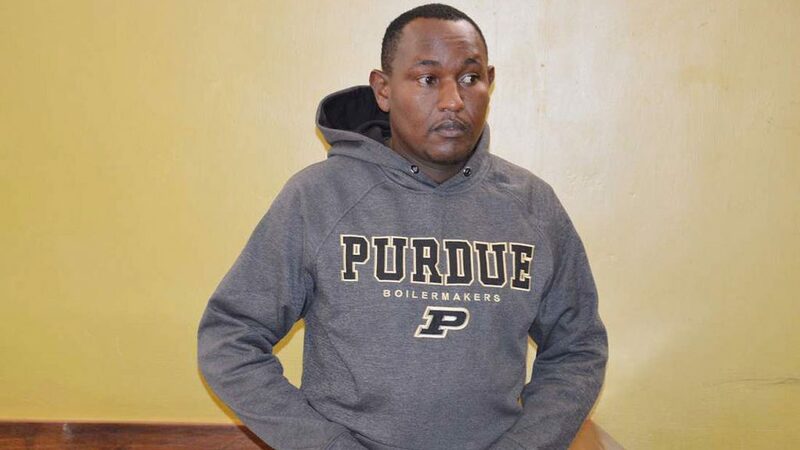 Preliminary reports did however indicate that he was at Wangui’s Four Ways Junction apartment when his wife and mistress arrived and a fight ensued thereafter. Michael is now seeking to turn into a state witness.